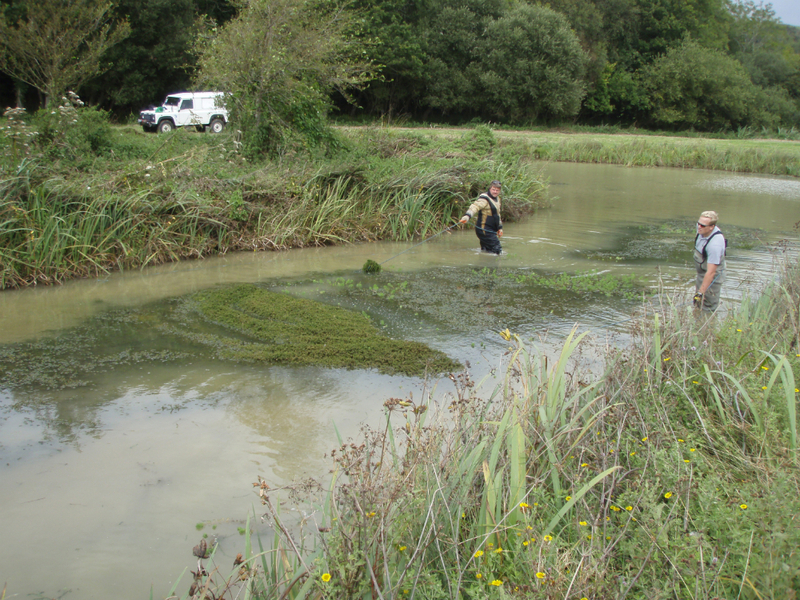 oxygenation problems and excessive silt build up, this can soon become an economic problem if left for too long, paying anglers will soon find somewhere else to fish. Like all fisheries, a certain amount of capital needs to be invested back into a maintenance and management program. We carry out frequent weed cuts for local fisheries, and private pond and lake owners. Our experienced team assess the weed problem with the client, and devise a plan that suits the ecological and economic status of the water body. We cut using a variety of methods then net off all cut weed and remove either by hand or machine depending on the predicted amount of weed to be cut and removed.